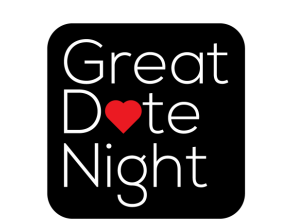 GREAT DATE NIGHT Productions is a turnkey event planning service dedicated to taking the planning and production of your corporate event out of your hands. We take care of the Theme Design, Set up, Production, Talent and, of course, after the Best Party ever, we even handle all of the clean up. A typical night starts off with a Celebrity Style Red Carpet, Cocktails, Dinner, Video Concert and a Showcase of Live Entertainment from the NW and we finish the night off with Dancing. At this time we have produced The Motown Review, 70’s Old School and a Tribute to the 80’s . We are preparing to make ready the following themes: SummerFest-Rock of Ages, 90’s House Party, Roaring 20’s and Motown II. For the summer months we can also include an Ultimate Bar-B-Q with our very own Party at the Park Block Party. Our dedication is unsurpassed in keeping the spark burning in the hearts of couples everywhere. Just check your calender, book your date, get dressed and we will do the rest. Mr. Doc Titus is the founder and brilliance behind this concept. Mr. Titus has been producing and hosting events in Oregon since 1981. Doc has recruited Les Harrison aka Pee Wee Harrison of Meadowlark Lemon’s Harlem All Stars to be the bro to the show . They are the Laurel and Hardy, the Lucy and Ricky, or better yet, the Dean Martin and Jerry Lewis of GREAT DATE NIGHT. Their playfulness with each other is entertaining and their crowd involvement puts everyone at ease laughing and having a wonderful night out. Let’s face it... you need to experience the professionalism, enthusiasm and love these two bring to your event. They are Sophisticated Gents Productions LLC. GREAT DATE NIGHT is dedicated to continuing to make this community one of GREATNESS!! In addition, we also believe a part of the proceeds from all of our events should go to a non-profit organization. Please feel free to give us a call to schedule your consultation. GREAT DATE NIGHT… A CURE FOR THE COMMON BORING EVENT.